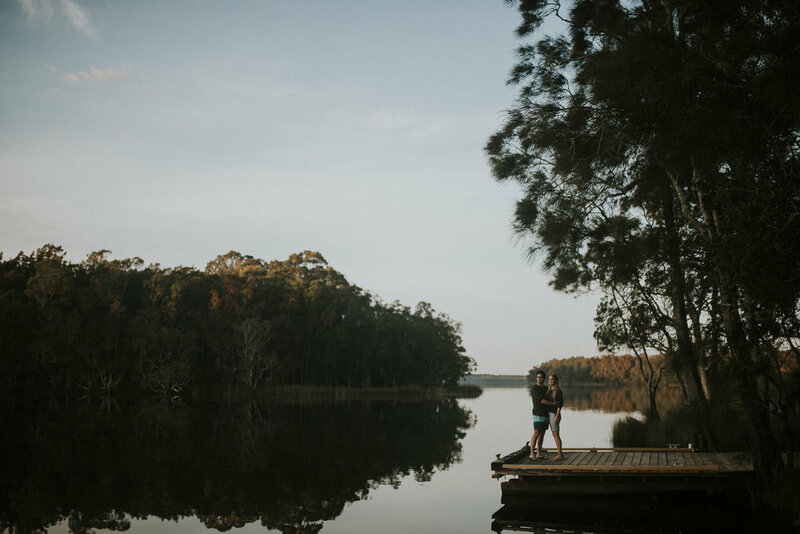 This photo definitely sums up the vibe from this epic sunrise engagement shoot. Sarah, Stewart and I all met up at Myall Lakes National Park the night before and we sat around drinking beer around a very successful camp fire. The following morning we woke up for a 5.30am start where I made us all a cup of coffee and tea before we walked around the area getting some nice photos on sunrise. After we eventually came to life after the caffeine set in, we got on the jetski and made our way out to an island where Sarah & Stewart camp often. As we explored around without a care in the world, we got back to the jetski and we soon found out the battery was dead!!! Stewart used all his automotive knowledge to try and start the beast back up but couldn't get it to start. We resorted to calling maritime services where we were notified they would be atleast a few hours before we could be saved! We were all starving and were determined for bacon and eggs back at camp. We soon all accepted the fact that we would have to take turns towing/pulling the 3 person jetski along the sand banks back to camp about 7km's away! Miraculously about halfway back to camp, the jetski randomly decided to start! We all climbed aboard and stuck on the throttle to race back before something could go wrong again!!! Then to top it all off, the Police arrived to check if we were alive after Maritime services couldn't reach Stewart after his phone died! 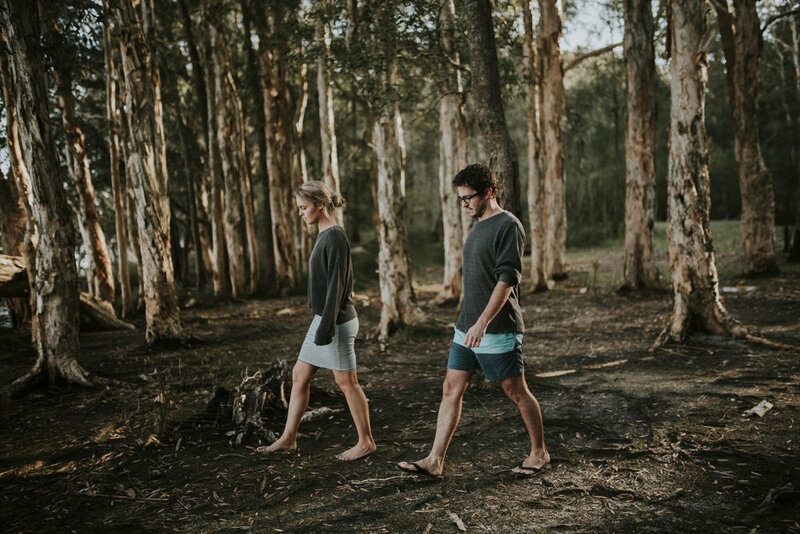 Thank you to Sarah & Stewart for this one in a life time engagement shoot, and it is fair to say I am pretty nervous for your wedding hahaha!! !